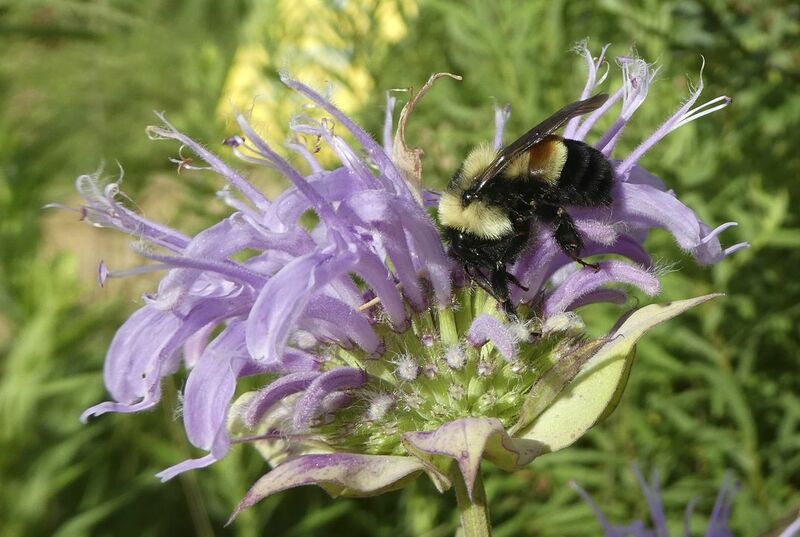 A highway in suburban Chicago has become the second Midwest road construction project delayed because of concerns about possible harm to a bumblebee recently listed as an endangered species. U.S. District Judge Sharon Johnson Coleman halted work on the nearly 6-mile-long Longmeadow Parkway in Kane County, Illinois, until at least April 25. The Chicago Daily Law Bulletin reported the judge's order was in response to a filing by project opponents who said the roadway could affect the rusty patched bumblebee. The holdup could boost the project's costs by tens of thousands of dollars, said Carl Schoedel, the county's transportation director. The U.S. Fish and Wildlife Service, which deals with endangered species, is not involved in the parkway dispute, said Louise Clemency, a supervisor in the agency's Chicago field office. But she said the planned route is within an area considered to have a "high potential" for the presence of the bees, which were spotted there as recently as 2012. Even if the bees are found there again, it's "highly unlikely" they would prevent the road from being built although minor alterations might be needed, she said. Minnesota's Hennepin County delayed work last month on a 4-mile stretch of a road called Flying Cloud Drive because of concern about the endangered bees. But federal officials visited the area and determined it was not within a high-potential zone for the bees, said Andrew Horton, a biologist with the Fish and Wildlife Service. It's really sad that there isn't as many bees as there use to be. It's very important to protect them. We won't have a lot of things if they go away. i definitely agree with you... it is really sad because they help the environment greatly. Road work was stop by a patch of bumble bees the species of bee was recently added to the endangered species list the delay cause them ten thousand dollars worth in finishing the project. The bumble bees were protect by the judge because the they were a endangered species. These things are everywhere. I cant stand them. It seems like everywhere I go they are there. A highway in Chicago has become the second road construction project delayed because of concerns about harm to bumblebees, a recently listed as an endangered species.The county's transportation director stated that the holdup could boost the project's costs by tens of thousands of dollars. 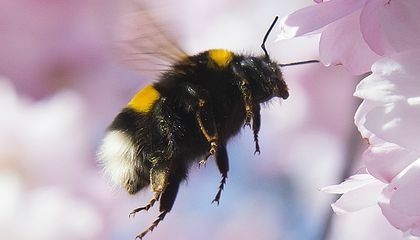 But the bumblebees have disappeared from nearly 90 percent of its range in the past 20 years and their are along with other bees very important because they play a crucial role as a pollinator of crops and wild plants. In my opinion it is important to save the bees even though that means that the construction gets more expensive and takes longer because we need bees to live. This article was about a large road project being "delayed" by the possibility of endangered bumble bees being in the area. However, the article used outdated key evidence (from 2012), and also used quotes from the transportation director that didn't really seem to fit with the tone or idea of the article. Writing aside, this relates to civic engagement because animals such as the bumble bee are going extinct at faster and faster rates. As a human race, it should be our concern to preserve the earth and its other inhabitants. Moreover, if animals such as bumble bees completely go extinct, the food chain and our lives will be significantly altered. This article talks about the power of bees. At least, that's what the underlying message is. The real message revolves around a species of bee, the rusty patched honeybee, putting a stop to a six mile long stretch of highway in Illinois. The stop of the project could potentially cost "tens of thousands" of dollars. The project was of course stopped because there was a sighting of the endangered bee, in addition to it being on the federal endangered list. The sighting won't stop production forever, but measures are being taken to reestablish wild habitat for the honeybees. This article connects greatly to civil engagement, along with my most recent speech. Honeybees may not seem very important, but they have so much importance in the world. Our lives would be drastically different without the pollination the bees provide. It is our job as civil citizens to know what effects the environment around us, along with the contributors to said environment. The judge is protecting the bee? because they are critically endangered and we need them for many products. without bees we humans would die,if there is no bees than there is no trees, no trees no body.